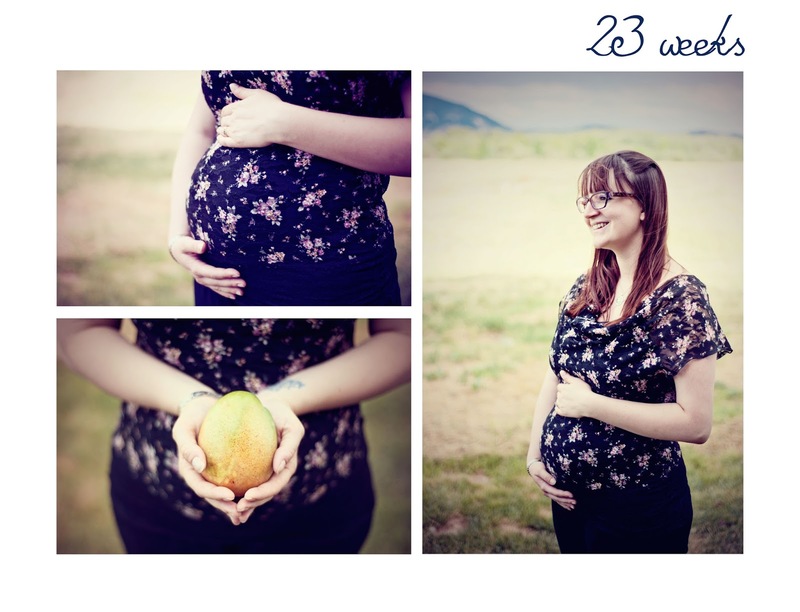 This week baby weighs just over a pound and measures the length of a mango. Definitely feeling the belly this week. I've had some people say my bump looks bigger than how far along I am, and some people say I look small for being past the midway mark. My midwife attributes my possibly "showing" sooner due to scar tissue buildup from an emergency laparotomy (what surgeons do when they have no clue what is wrong with you) when I was 20. Either way I'm feeling healthy and happy and just amazed at how much this little guy/gal is kicking these days. Baby kicked so hard this afternoon I actually had to pause for a moment to catch my breath. It's really such a unique and truly amazing feeling. The best Mango we could find living in a landlocked state. Got to love mangos, super cute smile. Love all the wonderful photos, hope you are building the baby book with these photos and stories. But the mango looks smaller than last weeks spaghetti squash. Either way, mother and baby and I bet Daddy too look healthy and happy. sounds like the little one will take after his or her Auntie Maleea with all that kicking. Might have soccer in your future.